Just last week, GWAR announced the date for this year’s GWAR-B-Q: August 16 at Hadad’s Lake in Richmond, VA. (We went last year.) It will still happen as planned (ticket info TBA), and the official Brockie public memorial will take place the day before (8/15) at Hadad’s Lake. More info to come. 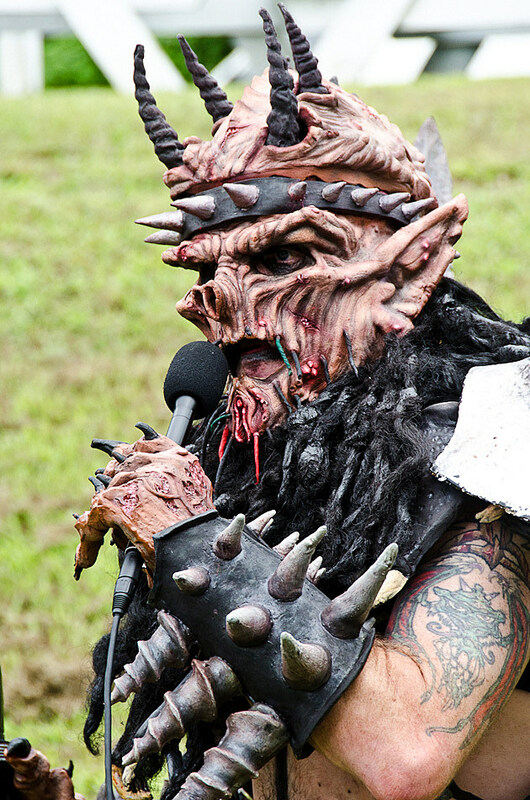 Some of the members of GWAR — past and present — talked to WTVR in a memorial piece which you can watch below. Too often, we take metal too seriously. There’s a reason for that — many of us were lost before we found metal, so to laugh at the thing that made us complete seems like blasphemy. For many, the best metal is defined by how true-ness, by stern beliefs and hard limits held by musicians concerning everything from politics to production values. On top of that, good metal is created through hard work by ultra-dedicated musicians, which is no joke if your music of choice is incredibly technical and atmospheric. But metal is also gross. The majority of us are boozy, eczema-riddled, semi-literate jackasses, even those legendary figures we like to idolize. Cliff Burton took rank shits and Euronymous jacked off on his mother’s sheets. GWAR were honest about all that, even under a hundred pounds of foam rubber. They were the KISS of the ’90s, when things like KISS had been recognized as totally silly, even if they were also totally awesome. 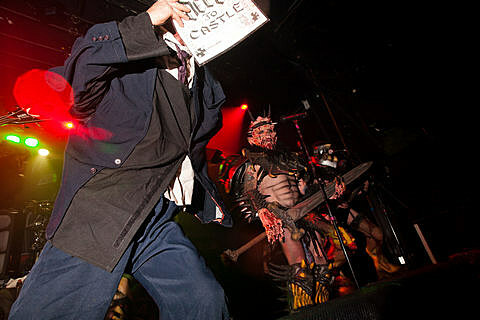 GWAR expressed their politics by beheading Ronald Reagan onstage. They didn’t invite you into the GWAR Army, they threw you into the Slave Pit or fed you to the alien. Their songs contained traces of grunge, funk, alternative, and even hip-hop, because why not? 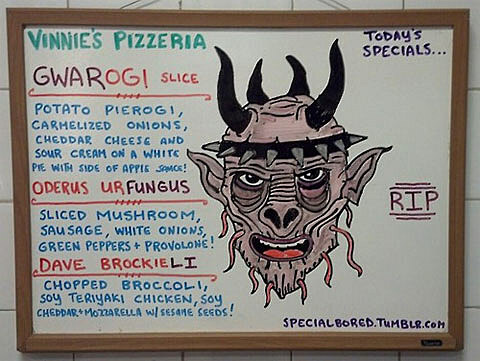 Nothing is sacred, everything is awful, let’s have fun. Read the whole thing — and we highly suggest you do, it’s great — over at Invisible Oranges. Closing in on my 10,000th tweet by reminding all of us by the frailty of your technological world. For you, I'm immortal. 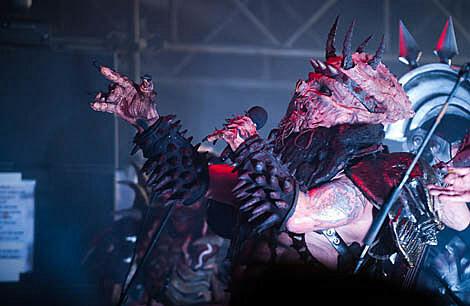 Though we think “Scumdogs of the Universe” is a true classic, GWAR are probably the ultimate “must see live” band and there’s really no better tribute to Brockie than to watch footage of his endless creativity and humor, onstage as Oderus. We’ve got lots of clips — as well as some infamous TV appearances (Joan Rivers, Jerry Springer) and their Empire Records cameo — below….